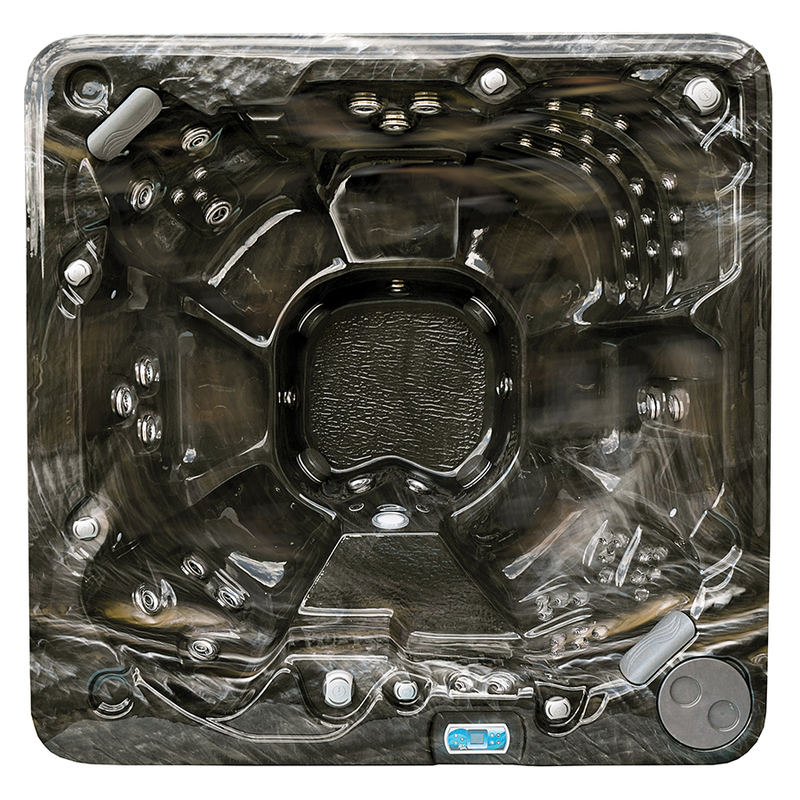 The Cabo Luxury Hot Tub from Crown Spas is the perfect union of advanced space-saving design and industry-leading hot tub technology. 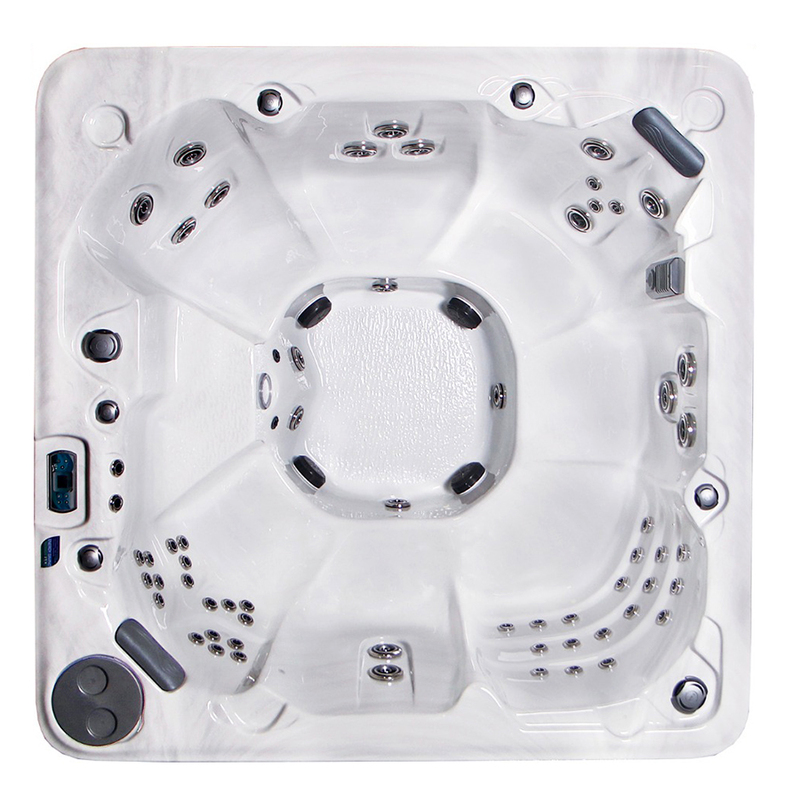 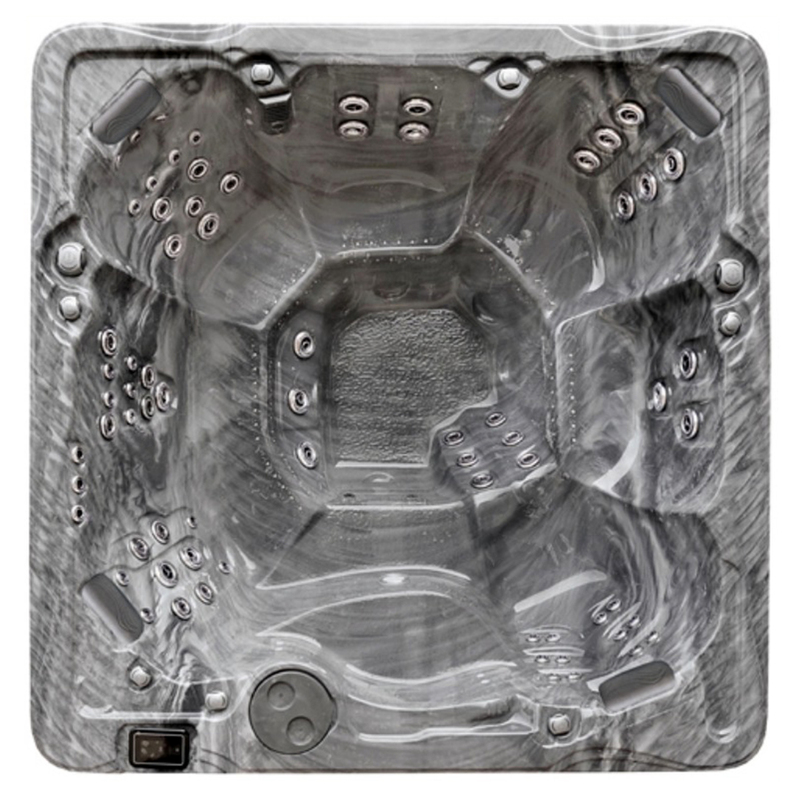 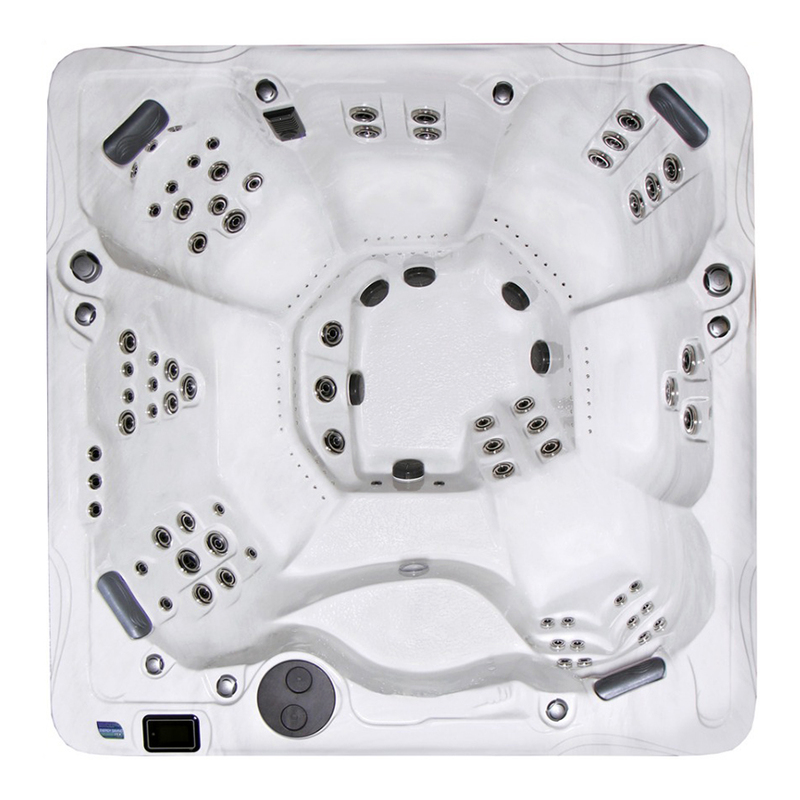 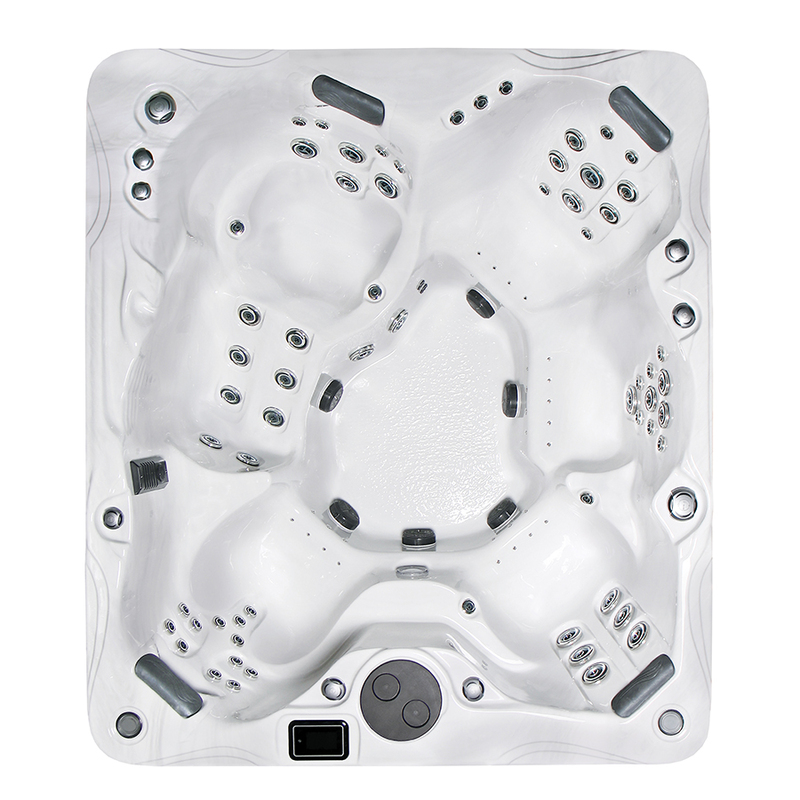 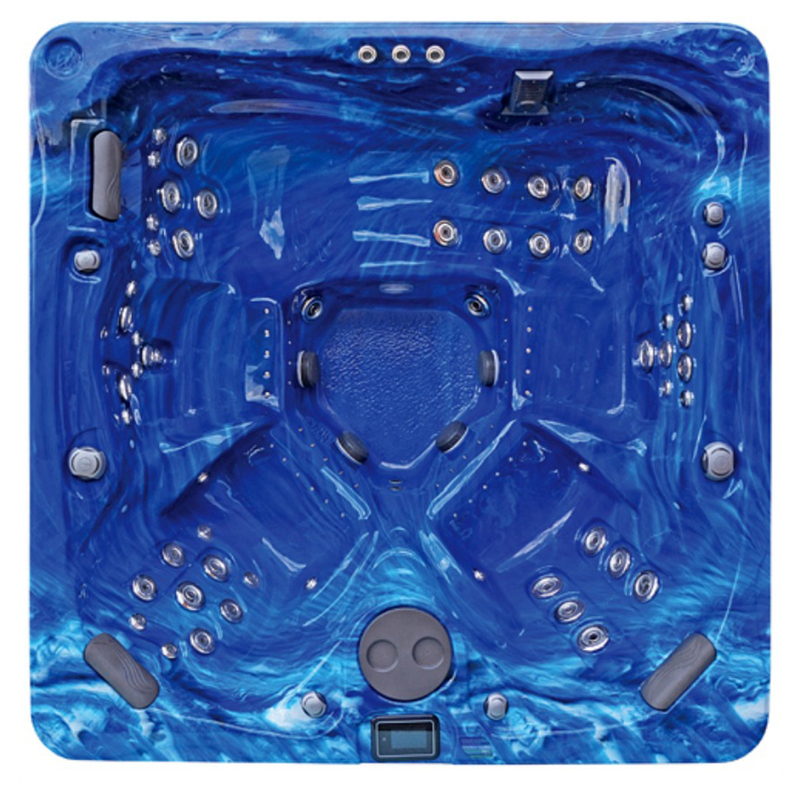 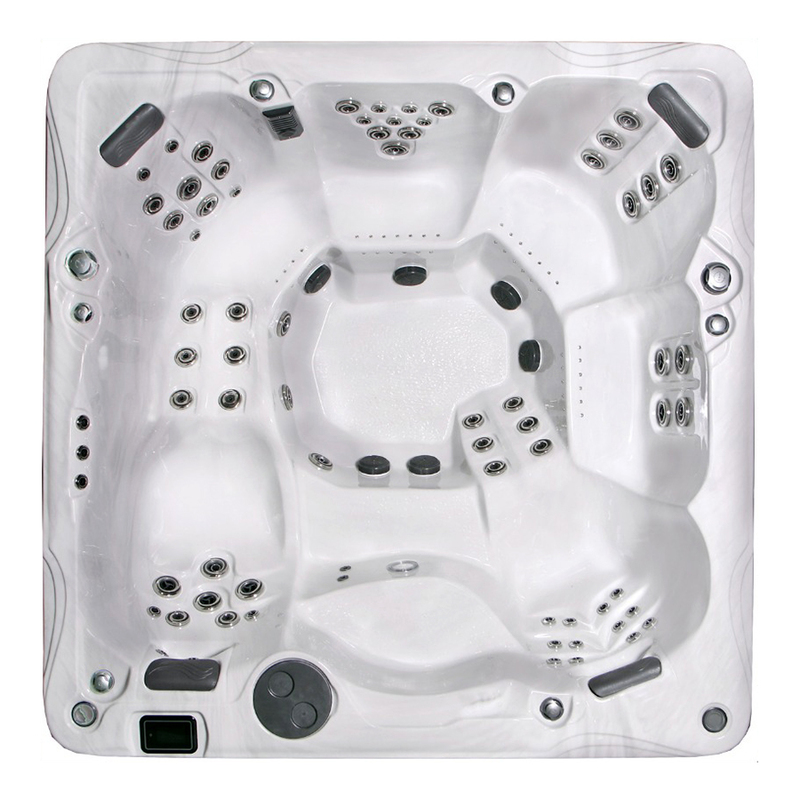 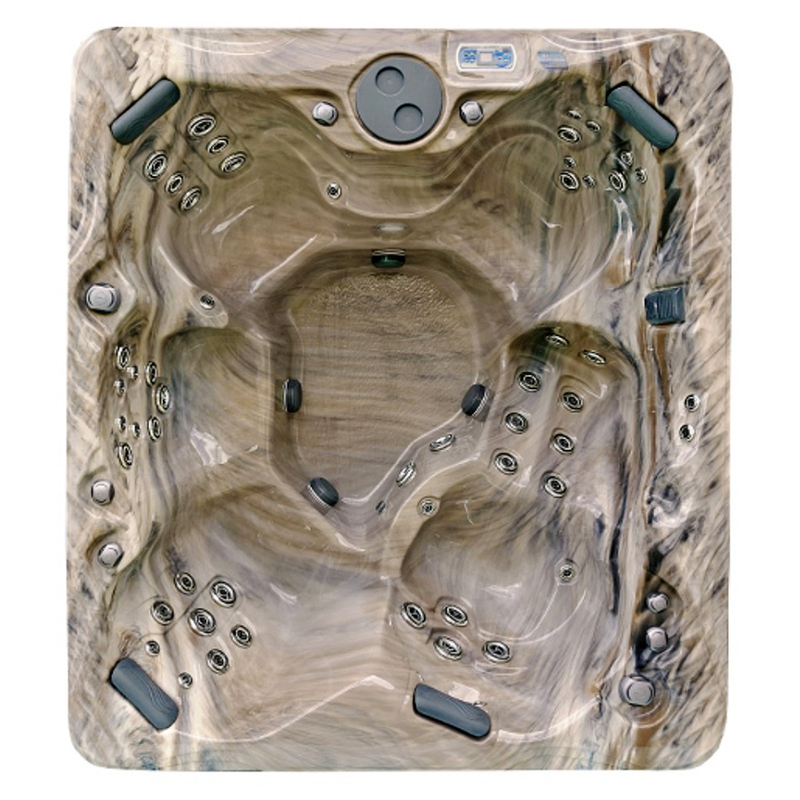 A compact rectangle design spans 84″ x 60″ with a depth of 33″, making the Cabo hot tub the ideal getaway for up to three full-size adults. 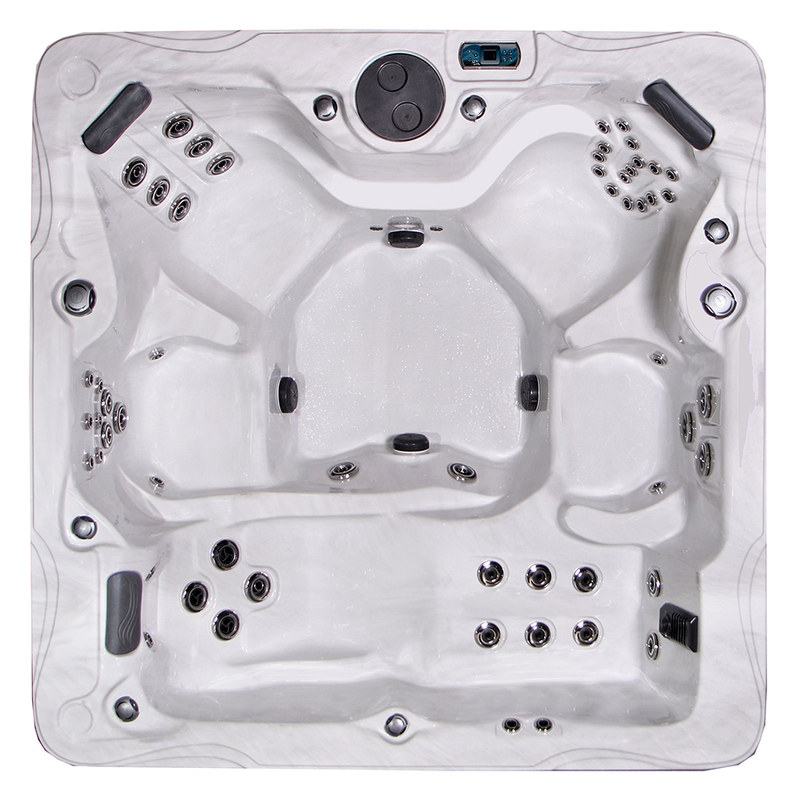 The seating features a reversible lounge section, as well as two extra-contoured chairs with armrests and deep bucket seating. 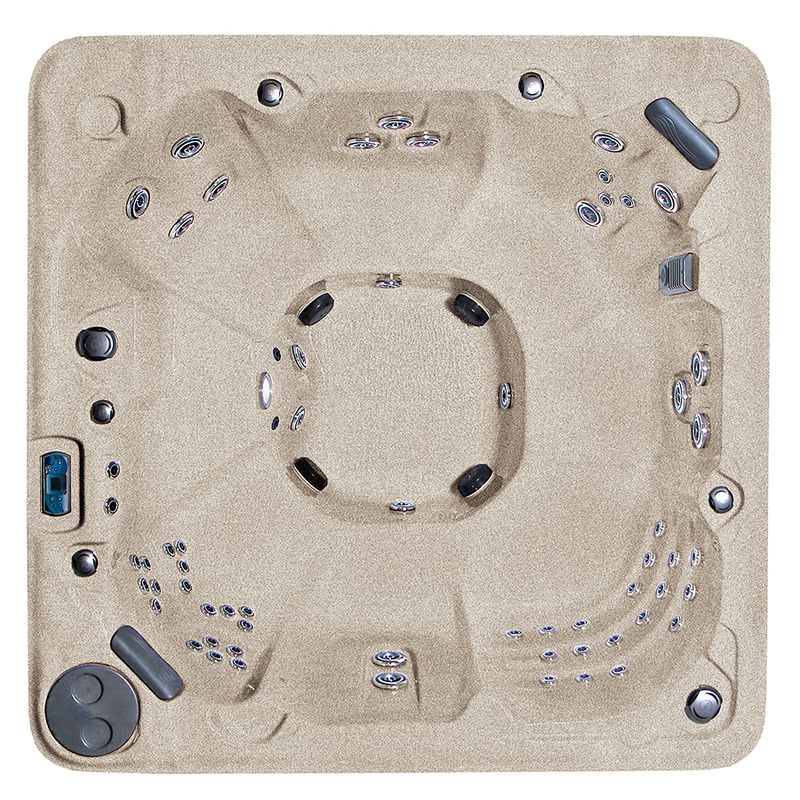 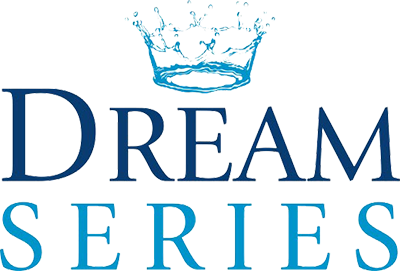 With up to 54 state-of-the-art jets, including up to 28 hydrotherapy and the optional 26 air spa massage, Crown Spas makes it possible to enjoy luxury and performance even in small spaces.